Bobbi Kristina Brown is reportedly receiving daily visits from family members as she remains in a coma in an Atlanta rehab facility. The daughter of the late Whitney Houston and Bobby Brown has shown little signs of coming out of her coma since being hospitalised on January 29 after being found floating face-down in the bath tub of her Roswell, Georgia home. However, a source close to the 22-year-old has told People that her feuding family has finally put aside their differences to come together for the sake of their loved one since she was transferred to a rehabilitation centre last month. According to the publication, Bobbi Kristina is receiving treatment in a private room, which the insider noted is “quiet and peaceful”, despite the fact that she’s still hooked up to various machines. "It's quiet and peaceful. The family has brought some things from home for her. Not much – just a few things, like a blanket and some pictures,” the source divulged to People. 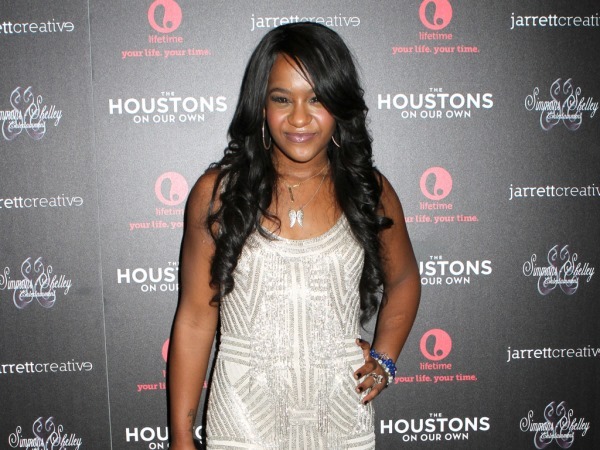 The insider also revealed that Bobbi Kristina is being visited on a daily basis by her maternal aunt and uncle, Gary and Pat Houston, while the Houston and Brown families are “generally getting along”. Her father is also reportedly visiting regularly and is making all necessary medical decisions on her behalf. With more than two months having passed since her hospitalisation, the “shock has worn off” for Bobbi Kristina’s family members, the source reveals. Though that doesn’t mean they’ve given up hope of a miracle. "Everyone's all cried out by now," the insider explained, adding, "We love her and want her to recover."